Savoy Hotel Manila is the newest and upcoming urban destination in Mega Manila that promises travelers unconventional comfort and value beyond all expectations. 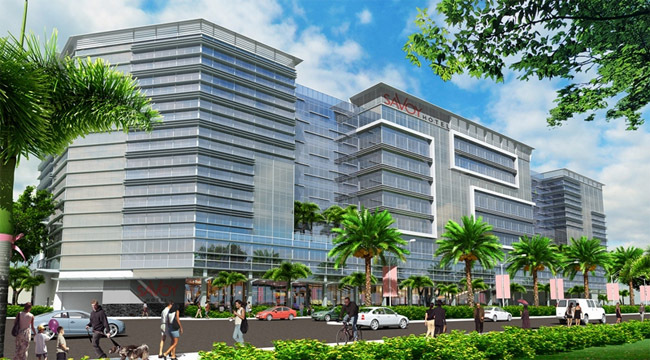 The hotel will offer splendid “spaces” amidst the usual fast-paced city scenario. 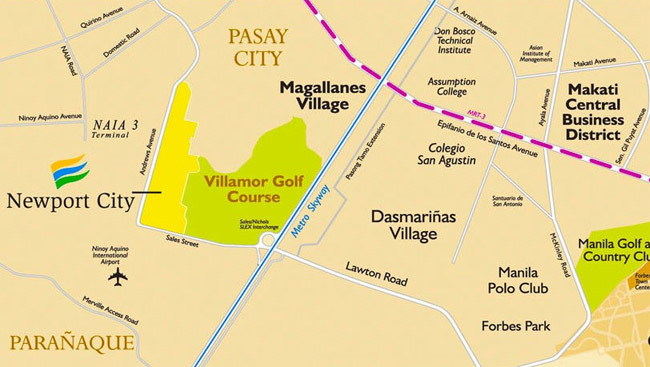 Located in Andrews Avenue, Newport City, it’s a kilometer away from the airport and within a complex of leisure points in the area. Guests can easily enjoy different activities, from dining to shopping to entertainment. At Savoy Hotel Manila, it’s not just about the physical space, the property is envisioned to be conducive for building relationships and encouraging collaboration. 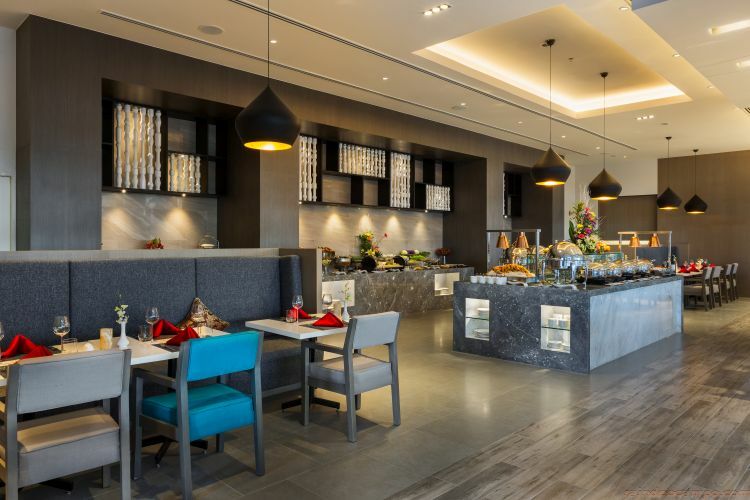 Guests can also experience a taste of sumptuous Asian and Western fusion – 24/7 at Savoy Café, or chill and enjoy the moment at The Poolside bar, finally, cap the night with a drink or two at Harvey’s Bar. Experience the space for remarkable encounters at the Club Lounge, exclusively for guests to unwind and connect. Amenities and facilities within the hotel – a pristine pool, fully-equipped fitness center, function rooms – highlight different moments and stories for guests to create and share. Savoy Hotel Manila boasts of 684 rooms, all of which are fully equipped with necessities that will enable guests to have a convenient and comfortable stay. The rooms are adequately sized from 21 to 50 square meters. From the most basic standard rooms, Essentials, to our comfortable executive suites, The Runway, The Deck, and The Space, all rooms are welcoming for travelers looking for a much-deserved respite in the middle of the bustling city. 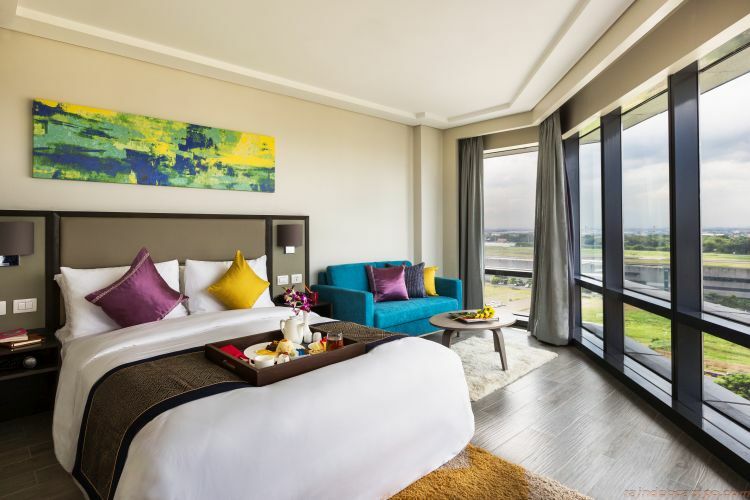 Livening views of the airport runway and metropolitan skyline can likewise be seen, adding a sense of warmth to every guest’s stay. From the businessman set for a meeting, the couple waiting for tomorrow’s flight to their dream vacation, the writer looking for a break – anyone can enjoy a different hotel experience SOON this 2018!